The Leica Trinovid 8x42 HD Binoculars are Leica's first close-focusing optics, offering views of subjects as close as 5.9 feet. 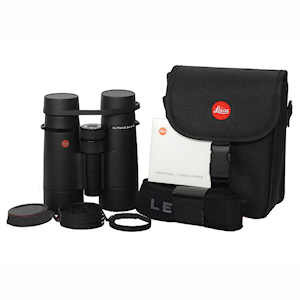 They are compact, lightweight, with phase-corrected prisms and Leica's fully multi-coated HD optics, many of the high-end features of Leica's top-end Ultravid HD Plus binoculars. 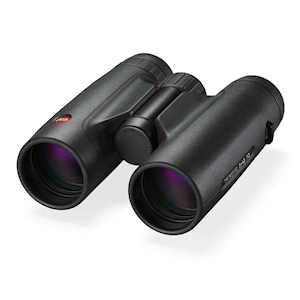 These binoculars provide exceptionally bright images with ultra-sharp resolution, high contrast, and natural color rendition for a breathtaking viewing experience. 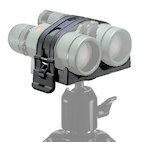 Comfortable ergonomics allow for fast handling and quick observation of your subject. Their special rubber armoring and waterproof/fogproof construction ensure that they can handle anything in your way. 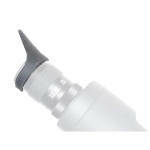 All Trinovid HD external lens surfaces feature a water repellent, easy clean coating. Also included is the unique Adventure Strap. This innovative new strap also serves as a quick to use case for protection during storage and travel – an all-in-one solution. Also included is a standard neck strap for those users preferring the more traditional carry system. Field of View: 372 ft. at 1000 yds. Dimensions: 4.6 x 5.5 x 2.6 in. Product Weight (oz): 25.75 oz.